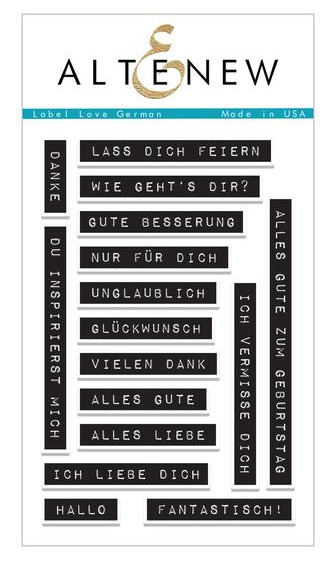 Label Love stamp set is now available in German! The versatility of the sentiments and the unique label style of this stamp set makes it a favorite among our customers. This is a 4" x 6" stamp set containing 16 individual stamps made in the USA from high quality photopolymer.